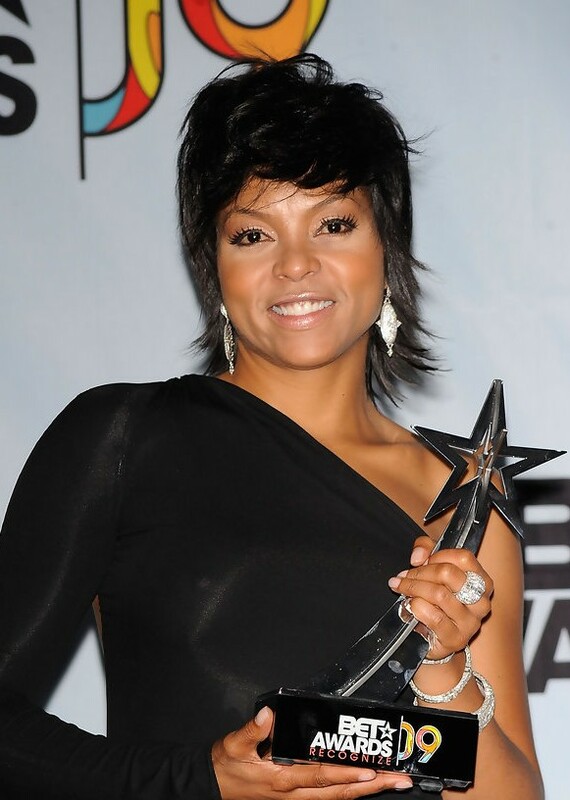 This is a fabulous and funky short crop for Taraji, she opted for a short messy style hair do for the BET Awards. This messy short hair style shows off the A-lined cut of the stars one sleeved dressed. The back of Taraji’s hair has been razored through the ends to add texture and help create her great flicked effect. The front of Taraji’s hair has been jagged layered to create a flat but messy look.